The professional cleaners will wash your windows perfectly, without any streaks or stains left. Let the sunshine in your home or office now, just call 020 3746 6887 or send an online request. Specify the number of windows, floors, types of windows you need cleaned, and you will receive a free quote. Booking the windows cleaning service is very easy. Just specify the types of windows and number of windows you want cleaned, as well as whether there is parking available nearby for external window cleaning. 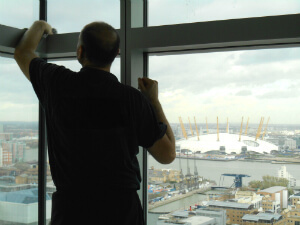 Call 020 3746 6887 or use the online booking form and book the window washing services for any day of the week, weekends and bank holidays included.